This time about how to create Access Point not an AdHoc with only using Windows for PC/Netbook. This post is very old post that I'm not published since 5 years ago because that time I'm very busy to write this post. 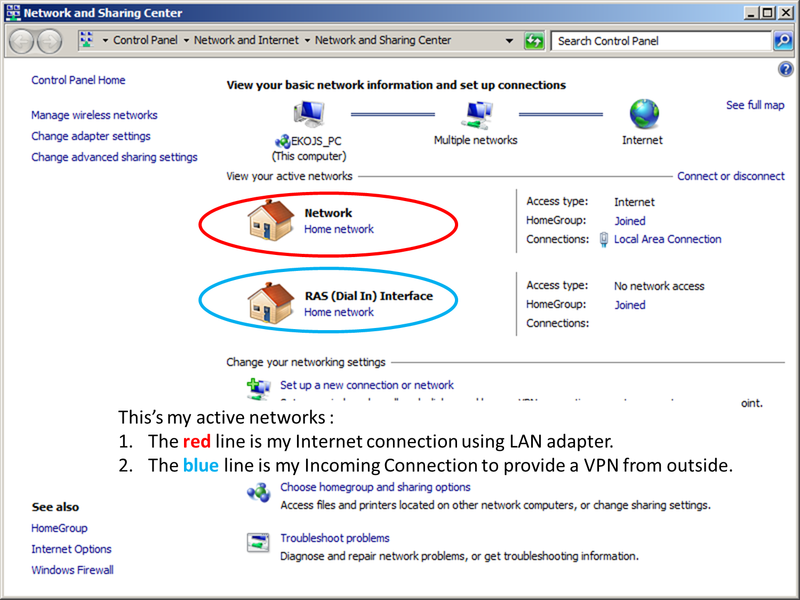 In this chance, I'll show you how this application provide a guide to make an Access Point in your PC/Netbook. So, if your response is like above, then you never create an Access Point before. Next, let's check the adapter you have, if you have another connection like using modem, etc. You'll see much more than that, see my minimalist adapter below. SSID is a name for your AP, write down your SSID using double quotes, and then Enter. Next, you'll see a password for your AP, write down your password without double quotes. Okay, if your AP configuration has been successfully created, you'll see this response below and check for your virtual WiFi miniport adapter has been added with name "Wireless Network Connection 2". So, let's rename your AP with "Access Point". Now, press any key to continue using the application, and then let's check out point number 4, to see the detail about your Access Point, you'll see response like below. So, you'll need to Disable your Wireless adapter first and take some time to Enable it again. See below to resolve your problem, if you get stuck of it just email me or comment this post, I'll replay it as soon as possible. After you enable it again, you need to choose point number 1 again in the application. After that you can share your internet connection to this AP from your modem, etc. Or, if you just want to connect to another computer you can set the static IP to this Virtual WiFi miniport adapter and configure your another IP computer. So, that's it how to use My Access Point Application using command shell. Any question about this app, please feel free to comment or send an email. Ilmu adalah titipan `ilahi`, tak selamanya kita miliki tapi tetap harus kita cari.